A Vehicle must make a successful movement roll to enter the hex that contains this Obstacle. 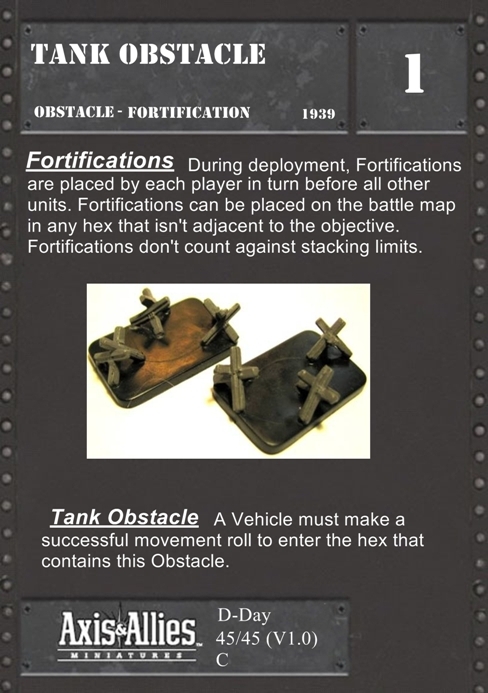 Q: I can't find the rules covering obstacles or for fortifications like Tank Obstacles. Where are they? What do they say? A: The original Obstacle rules were printed on the back of the D-Day check list. You can find the reprinted rules under the Barbed Wire SA.